Back in the spring when the longlist for this year’s Orange Prize came out I was inspired. So many wonderful books, some that I’d heard of and some that I hadn’t. My heart said read then all! My head agreed that it would be wonderful, but that I couldn’t possibly do it before the shortlist came out or even before the award was made. As of today I’ve read eight of the twenty, I have three more to hand, and I haven’t ruled out reading the lot. Eventually! But that ambition went on to the back burner when I saw the shortlist for the Orange Award for New Writers. Just three books, and two of them were already on my radar. Now that was do-able! 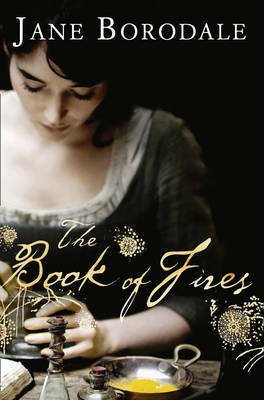 The first was The Book of Fires by Jane Borodale. It had popped up in my Amazon recommendations, I’d seen it in a few other places and I was ready to pick it up as soon as a copy appeared in the library. When it appeared on the shortlist I placed an order. It proved to be a very readable book, with plenty of twists and turns and an engaging heroine. But there were problems. A few plot holes and some opportunities missed. A promising debut but it didn’t really seem worthy of the shortlist. 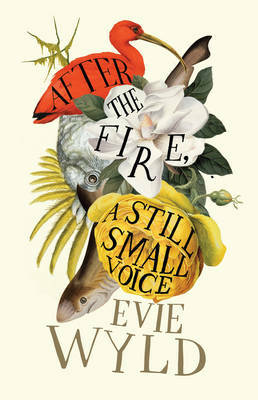 And then there was After The Fire, A Still Small Voice by Evie Wyld. The cover caught my eye in the library towards the end of last year, and the title was intriguing. When I first picked it up I wasn’t sure it would be my sort of book, but I read so much praise that I have to give it a try. It was a very accomplished debut, a book more than worthy of all the praise showered upon it, but it didn’t quite click with me I’m afraid. 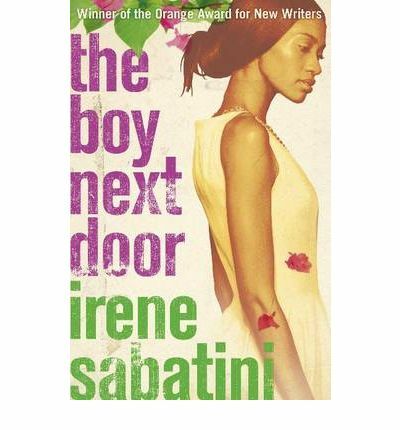 And finally there was The Boy Next Door by Irene Sabatini – the only shortlisted book I hadn’t heard of before the list came out. I fell in love with this one and I had planned to post about it on the evening of the award. But I didn’t quite get to it. Then it won, and a celebratory post seemed to be in order. But I was distracted by life, took a blogging break and it didn’t happen. The setting interested me: Zimbabwe shortly after the Act of Settlement and the first free elections, when white minority rule ended and Robert Mugabe came to power. I was young but my best friend had cousins the same age as us in Zimbabwe, and so we followed developments carefully. And then the heroine captivated me. In 1978 she was 14, the same age as me and we seemed so much alike. Lindiwe Bishop was quiet, bright but not quite at the top of the class, and she was bookish. She read Sue Barton books, books that I loved but had quite forgotten about. But I would have loved her even without that wonderful reminder. Lindiwe was of mixed race and she lived with her family in what was previously an all-white suburb of Bulawayo. Ian McKenzie, the boy next door, was a few years older than Lindiwe and he was white. A different class. And it seems that Ian is trouble. A fire is set at the McKenzie home, and Ian is accused, found guilty and jailed. In time the conviction is overturned and Ian is released, but suspicion still hangs over him. Lindiwe is warned to steer clear, but she is fascinated by the boy next door and they begin a clandestine relationship. The story follows that relationship over the next ten years, against the background of the new and changing Zimbabwe. A relationship complicated by racial tensions, family relationships and secrets, demons from the past. It seems doomed to fail, but I couldn’t help hoping that it would succeed. It works brilliantly, both the small picture and the big picture. The story of the country and the stories of Lindiwe, Ian and the people around them. I felt for them all, but most of all for Lindiwe as she matured, as her understanding grew, and as she struggled to cope with life’s ups and downs. I was engaged, moved, and informed by The Boy Next Door. Definitely a worthy award winner. I’m keeping an eye out for these books. I had not heard of some of them either. All are certainly worth a try. I had heard of The Boy Next Door a bit before, but this post has completely sold me. I’ll be getting my hands on a library copy shortly! Have you read House of Stone? It’s a nonfiction book about Zimbabwe by a British journalist, and I found it very moving when I read it (a couple of years ago I think). Eva, I think that this is definitely your sort of book and I shall be watching for your thoughts. I’ve not heard of House of Stone but I’m going to check my library catalogue. Thank you! I loved this book, too! The family relationships and secrets really had a srong impact on me. You’re right Laura. It was the wider context of the families as well as the political situation that really made this book sing for me. Excellent – I think you’ll like this one Jackie. I’ve rounded up a lovely selection of books for Orange january from the TBR and I’m looking forward to it. I’m not familiar with the Orange prize, but this is not the first time I’ve been intrigued enough by one of your reviews to want to find the book! The Boy Next Door looks wonderful. And honestly, “The Book of Fires” looks like just the sort of book I’d enjoy, but I may not seek it out now. Anyway, I always enjoy my visit to your blog, Fleur!